Bodhi has an Honours degree in Chemistry from Calcutta University. 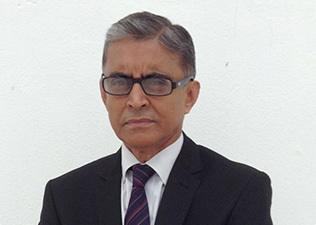 He has also attended short management courses with reputed institutes during his professional career. He gained his initial experience at Hindustan Unilever where he spent 15 years in Sales. He has handled entire East Zone for Sales and Distribution at the middle management level. After Unilever, Bodhi moved on to Zonal Manager roles in Benckiser, and Senior Manager Roles in the RPG Group and ICI Paints. At Benckiser, he launched the MNC in the Eastern part of India and worked for 2 years. At RPG he was involved with setting up the distribution and channel network of one of the early Cellular Phone networks in Madhya Pradesh and Chattisgarh for 3 years. Bodhi then spent 6 years with ICI Paints, as Regional Sales Manager - East for their Decorative Paints Business. Bodhi then handled Sales and Behavioral training independently for company's e.g., Hindustan Unilever, Nepal Unilever, ICI Paints, Hemas - Sri Lanka, GSK, ABP - Telegraph and Bharti Airtel for 3 years. Bodhi then worked for the Bharti group as a training manager in their North East & Kolkata circles till 2011. Bodhisatwa Banerjee is based in Kolkata and is a Senior Advisor, Sales & Distribution with YFactor.